Civil Society Dialogue (CSD) III consisted of three main components: “Political Criteria Grant Scheme”, “Media Grant Scheme” and “Dialogue Seminars”. The Dialogue Seminars were organised to create a strong network between civil society organisations, media members, and public officials as the primary actors in the accession process. The seminars aimed to strengthen the capacity of these actors to work collectively in improving understanding of EU-Turkey relations in the wider society. 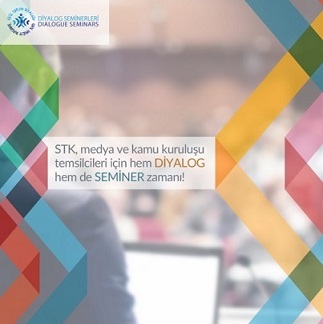 The first of the series of Dialogue Seminars was held in Antalya on 21-22 April 2015, the second one in Istanbul on 13-14 May 2015, the third one in Gaziantep on 16-17 June 2015, the fourth one in Samsun on 9-10 September 2015, the fifth one in Eskişehir on 11-12 November 2015 and the sixth one in İzmir on 16-17 December 2015. During the seminars organized with the participation of representatives of Civil Society Organisations (CSOs), local and national media representatives as well as public officers from nearby cities, effective discussions were held and important steps were taken toward a potential cooperation.